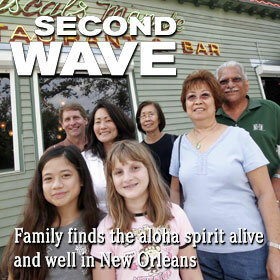 The Barbishes' relatives are among the many Hawaii residents visiting New Orleans for the Sugar Bowl. » Post offices closing Monday at 2 p.m.
Filings increase by 44 percent in Hawaii, which some say is just the tip of the iceberg. The chief of police returns after a nearly four-month absence. Officials canceled the ship's fourth straight day of service, and delayed tomorrow's. CEO Mark Dunkerley keeps eyes on future skies for Hawaiian Airlines. A Buddhist event celebrates the new year with specially blessed amulets. Brennan can't wait to get inside the Superdome and start throwing the football around to his teammates. Hawaii rallied for a 84-79 win over UC-Irvine in the first game of the Bank of Hawaii Invitational. The end of 2007 is likely to echo that of 2006, with a decline in arrivals and a slight gain in expenditures. Pakistani opposition leader Benazir Bhutto was assassinated two weeks before elections.